Dr. John L. Lewis O.D. Dr. Lewis grew up in Mullins S.C. He attended undergraduate school at The University of South Carolina. He graduated Southern College of Optometry (Memphis) in 1980. Dr. Lewis opened Columbus Eye Associates on October 17th 1980 and has built the practices' reputation on comprehensive medical eye exams, thoroughness, cutting edge technology, and attention to detail. 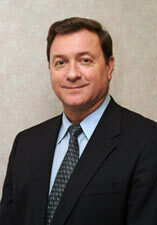 Dr. Lewis is an Adjunct Professor with Southern College of Optometry and Salus University. He is also a member of the North Carolina State Optometric Association and the American Optometric Association. Home | Our Doctors | Online Appointment | Order Contacts Copyright © 2009 Whiteville Online All rights reserved.